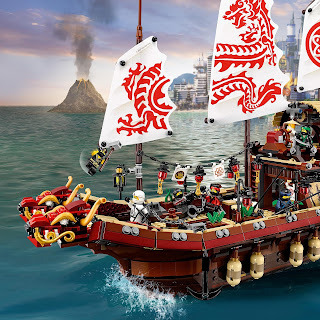 come with a destiny's bounty. 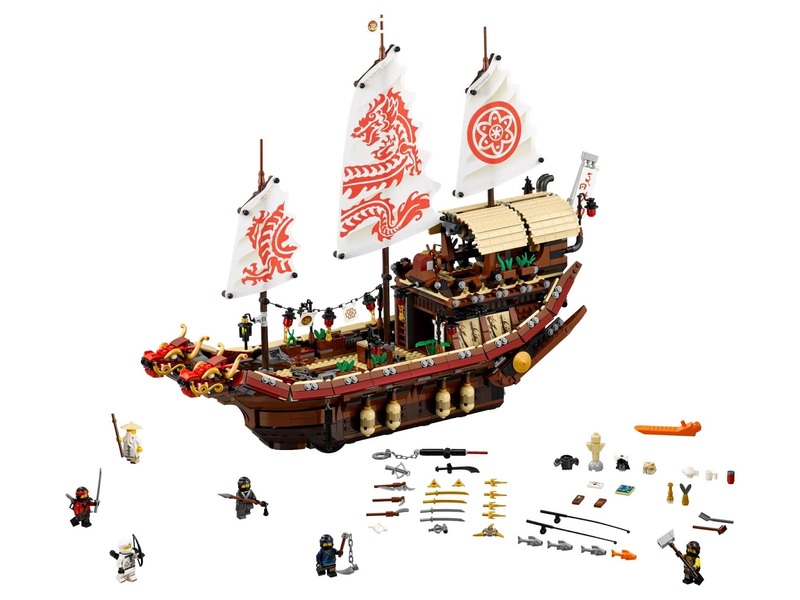 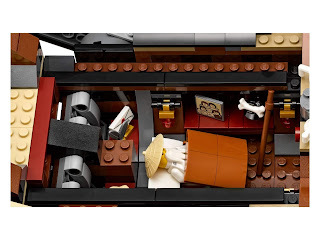 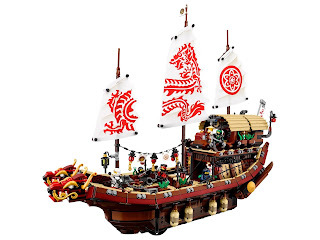 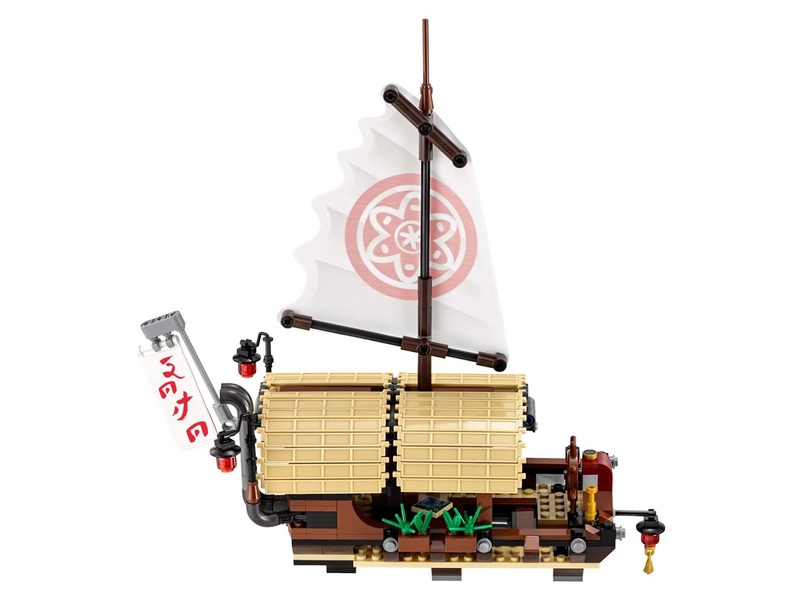 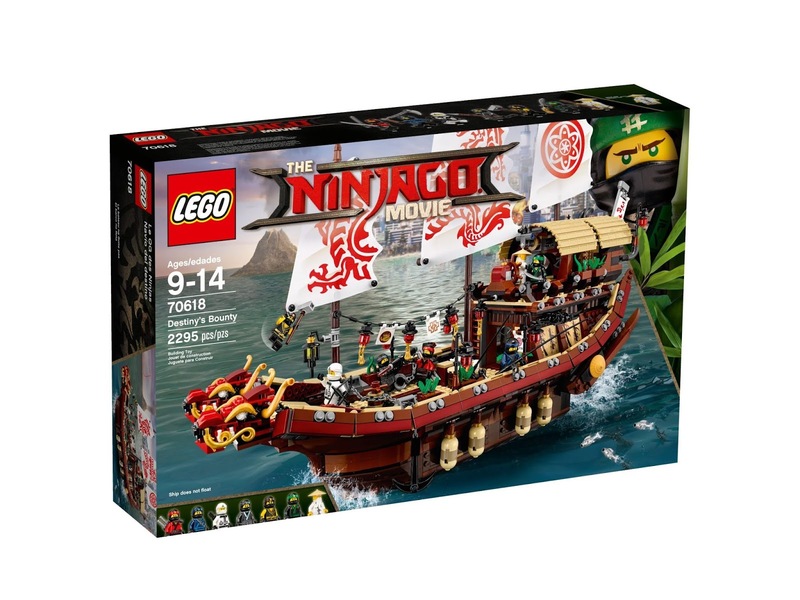 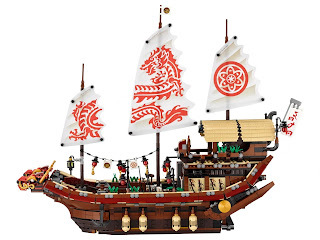 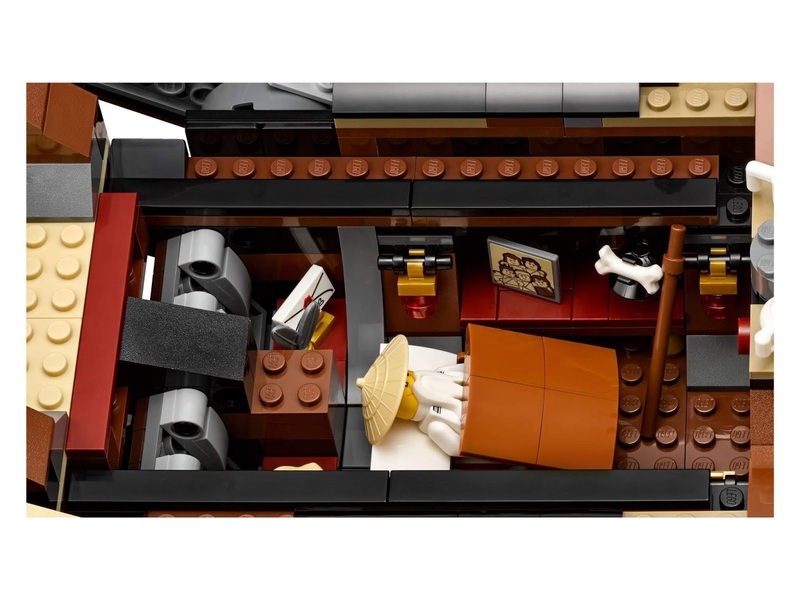 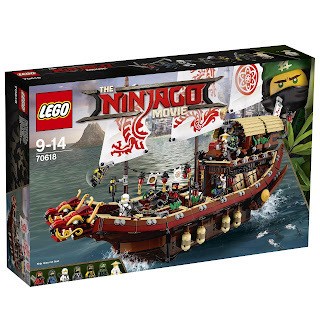 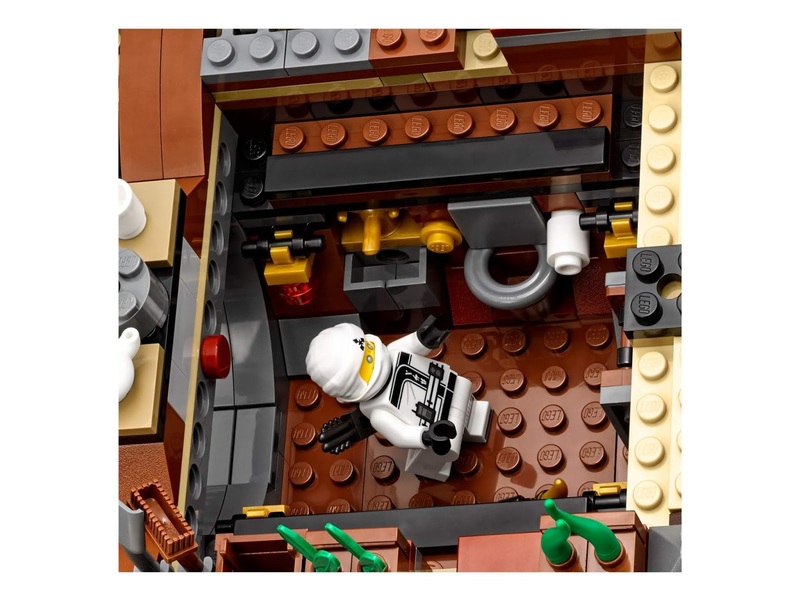 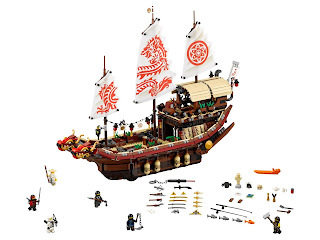 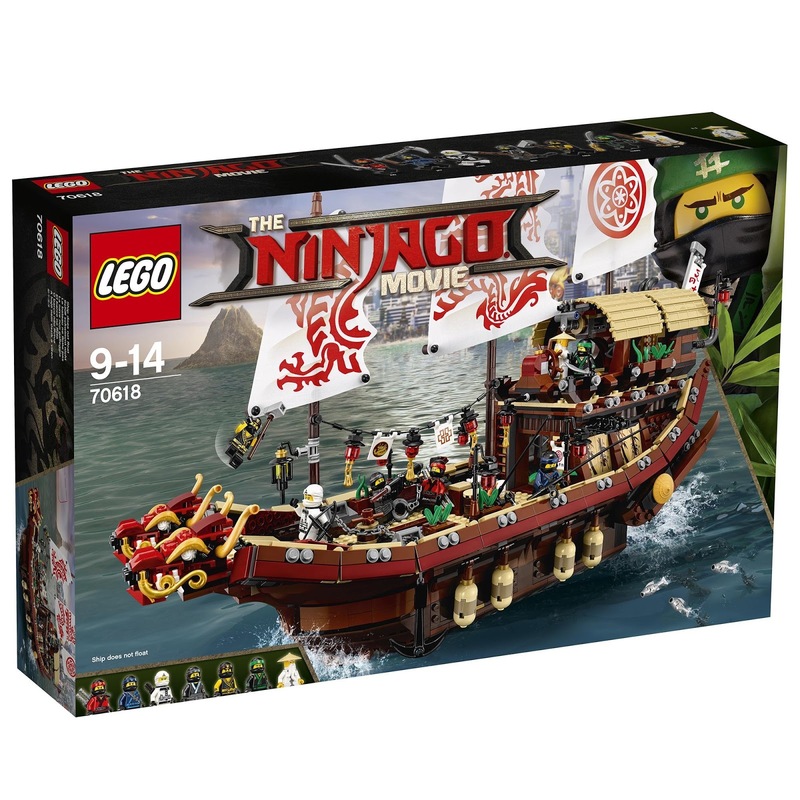 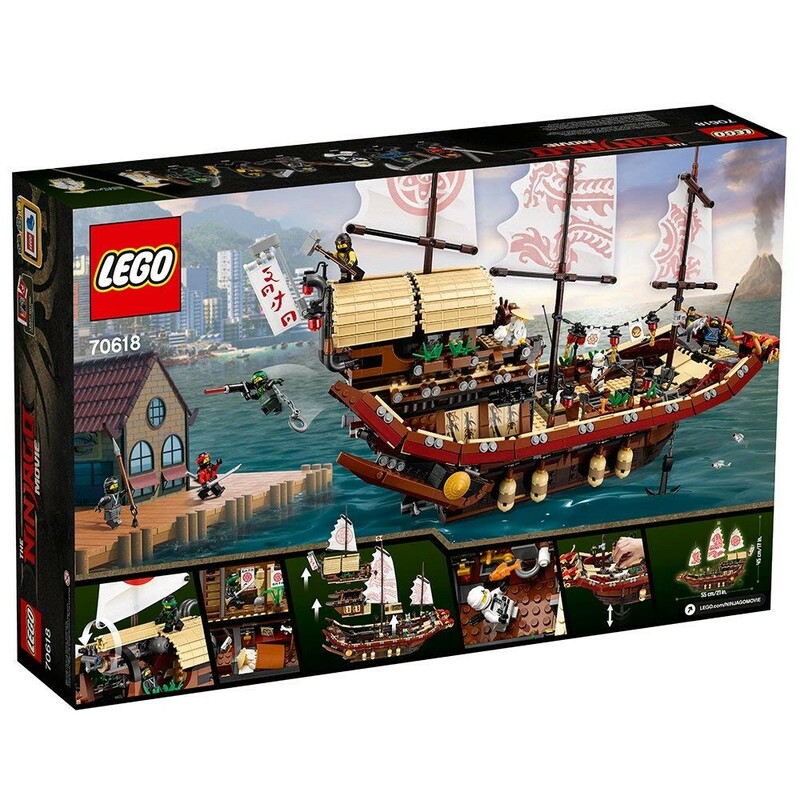 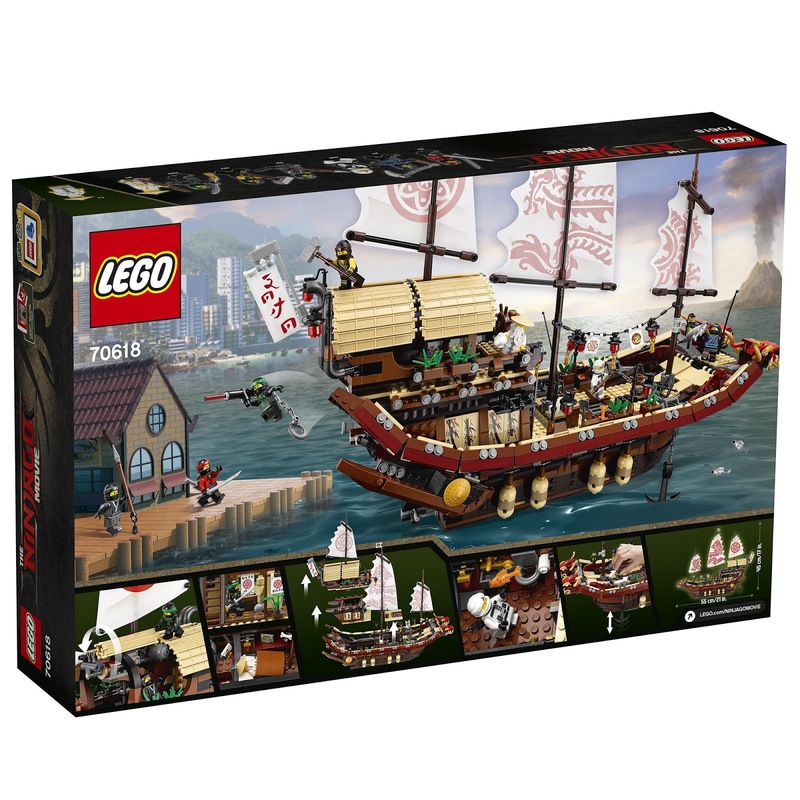 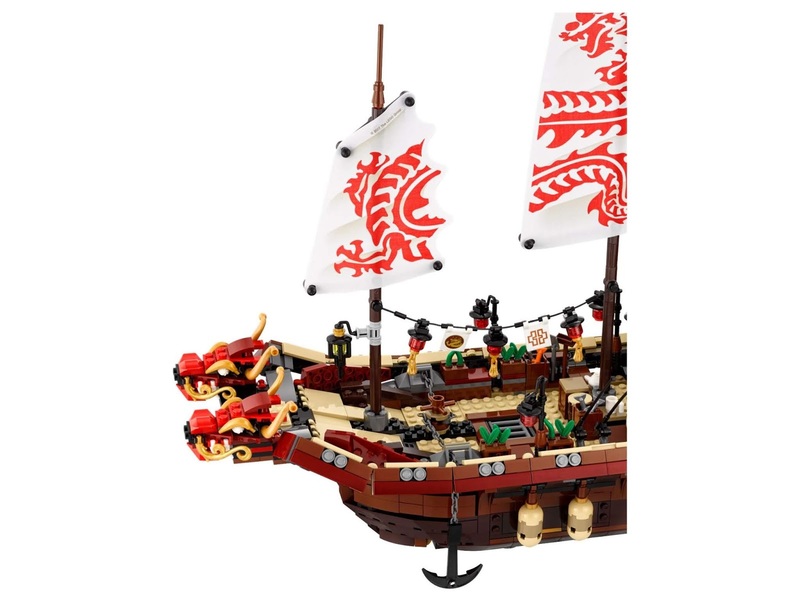 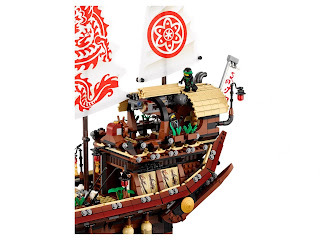 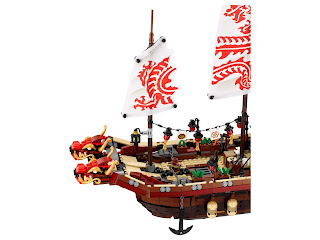 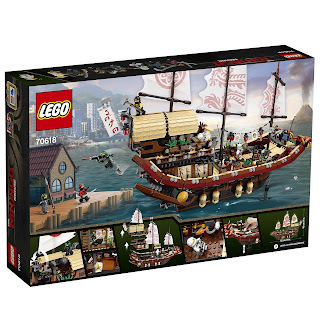 the destiny's bounty has 3 modular levels: top deck, wu’s dojo and mid deck hull, a double headed dragon figurehead, 3 decorated sails, a chain of lanterns, 2 wind up and release anchors, a sky pirates skull handle, 2 barrels, 3 crates, wu's bedroom, a bed, a bathroom in the hull, a dojo with a scroll, a training dummy, 3 training weapons and hidden weapons under the deck. 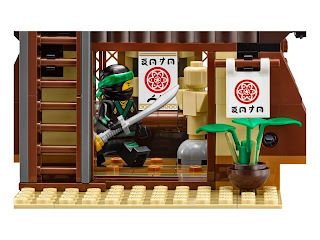 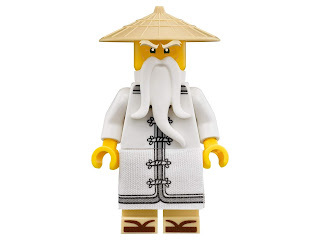 minifigs included a wu minifig, a kai minifig, a lloyd minifig, a zane minifig, a nya minifig, a jay minifig and a cole minifig.